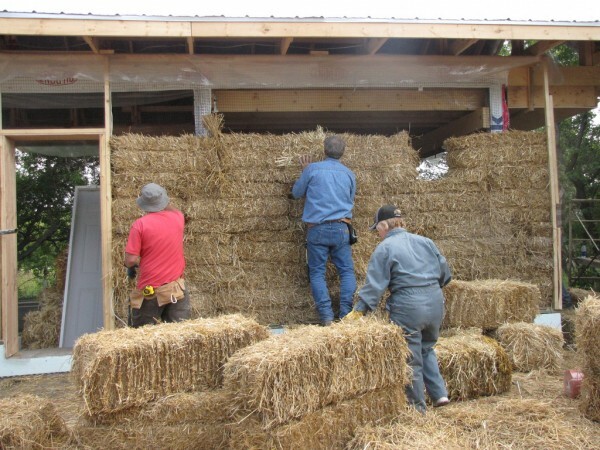 Volunteers building a wall as part of an August, 2009 strawbale building workshop in Craik, Sask. Creative Commons photo by CSLP. Ever wanted to live in a truly green town, full of energy-efficient homes and people working together for the environment? Then follow the lead of Craik, Sask., and start up an eco-village. Located halfway between Saskatoon and Regina, the town of Craik (population: 450) is reinventing itself and attracting new residents from as far away as British Columbia who want to take advantage of its slower pace, greener outlook and cheaper cost of living. 1. Find a small town. They don’t get caught up in bureaucracy and are often desperate for new residents and ideas. When Saskatchewan’s Prairie Institute for Human Ecology first suggested the idea of an eco-village in 2001, Craik jumped on it. Seeing the project as a chance to address climate change and revitalize its community, the Rural Municipality of Craik donated 127 acres of land for the eco-village. 2. Raise some money. You’ll need it to pay for such things as legal fees and marketing costs. Start by checking out grants such as the $100,000 one from the Green Municipal Fund from the Federation of Canadian Municipalities that Craik was awarded for their Eco-centre. 3. Find some residents. Craik built a website and developed partnerships with community and environmental groups to get the word out about what it was doing. Make your village more appealing by pricing land cheaply; Craik sold residential plots for as little as a dollar. 4. Get people inspired. Build a demonstration project to show off your village’s possibilities. Craik created the Eco-centre, an energy-efficient restaurant constructed with straw bales from nearby farms and timber from the town’s demolished grain elevator. The building is heated using geothermal technology and augmented with solar panels, has indoor compost toilets and outside there’s an environmentally-friendly golf course. Since opening in 2004, the centre has become a popular meeting place for Saskatchewan businesses. 5. Set the rules—and follow them. Have residents agree to community guidelines that encourage them to be as green as possible. Craik eco-village residents are expected to build energy-efficient homes and compost, among other things.